The Theory of the Reproductive Revolution proposes a unifying theoretical framework of the two demographic transitions and links population change and social modernization. Thanks to the national program of I+D+I we are developing and disseminating our proposal in various forums and formats, and we now want to discuss on this Day. 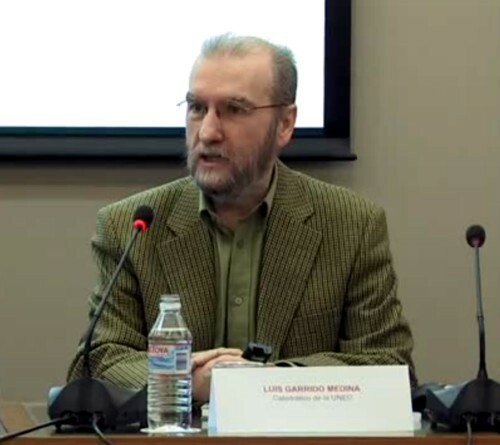 We will have two of the precursors of the theory and major figures in the field in our country, Anna Cabre and Luis Garrido, articulating two round tables with the participation of the project members and experts invited, with open shift end for the attendees. The only theoretical framework developed by the demographics about the global transformation of the population dynamics of humans is the Theory of the Demographic Transition. But such a theory has been unable to explain the relationship between the decline of mortality and fertility, and even less to integrate subsequent changes in the structures and behaviors convivenciales, family, gender and intergenerational (that have ended up approached from a social and cultural context in the so-called “second demographic transition”). Paradoxically, in the hands of the demography is to describe and analyze the major social transformation that humanity experienced in its entire history, but it is unable to explain it and even manages to get the whole of the social sciences take into account as an engine of change. The researchers that are participating in this project are betting that the demographics it is capable of generating an explanatory framework itself, if you use the right tools. It has wasted the optical generation of the cycles of life, intrinsic to one’s own demographic analysis and which automatically retrieves the causality between the behaviors and characteristics of each age, and which had in earlier ages. With the perspective generation can be understood as “delays” systemic essential between certain causes and their effects, as the improvement of survival and its effects on fertility, and also the loops autoamplificadores inherent to the dynamic, inter-generational. In this perspective it is possible to deploy a theoretical and conceptual framework that, to give an account of how certain improvements of survival can be amplified, between a few generations and the next, and how the increased reproductive efficiency resulting becomes in itself a trigger for further improvements, by dragging in the process all the behaviors and human characteristics involved in social reproduction (gender, cohabitation, family, work, education…). Anna Cabre and Luis Garrido are two of the precursors of the concept of reproductive revolution, and also the protagonists instrumental in the development of Spanish contemporary analysis of populations and social structures. Your introduction will open the respective round tables, in which we will participate the members of the research group and several invited experts, with a turn of words later open to all attendees. Is the Director of the Center for Demographic Studies and Professor of Geography at the Autonomous University of Barcelona. Is Director of the Centre of Social Structures Compared, and the Department of Sociology II (Social Structure), UNED, and Professor of Sociology at the University. Brenda Yépez (Central University of Venezuela). Date: April 23, 2012, at 10.00 h.
Venue: Sala Manuel de Terán, Center of Human and Social Sciences of the CSIC, in Madrid. C/ Albasanz 26-28.